BBC News - Diamonds: Does the Kimberley Process work? 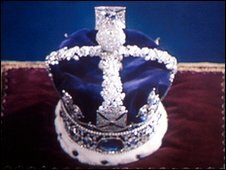 Diamonds: Does the Kimberley Process work? The Kimberley Process came into effect ten years ago to stem the flow of rough diamonds used by rebel movements in Africa to finance wars against legitimate governments. Critics insist it has not. Some diamonds avoid the Kimberley Process, they say, questioning the efficacy of the system. Diamonds have fuelled decades of conflicts in countries such as Angola, Ivory Coast, Sierra Leone and the Democratic Republic of the Congo. A report from the campaign group Global Witness says much of this is still going on in parts of Africa. In Zimbabwe, the military and political elite is exploiting the country's diamond wealth, often by using force, Global Witness says. But Ernest Blom, of the World Federation of Diamond Bourses, argues that the Kimberley Process has succeeded in its aim to stop diamond mining which funds wars. "As far as Zimbabwe is concerned, we have supposed human rights abuses which I think is out of the gambit of the diamond industry," he says. The Global Witness report says that between 100 and 200 miners were killed in the Marange area in eastern Zimbabwe in 2008, as the army imposed military control over the fields. And according to Human Rights Watch, Zimbabwe's military is forcing children and women to work at the mines, whilst also torturing and beating local villagers in the Marange area. The human rights campaigner Farai Maguwu was arrested at the beginning of June for allegedly giving false information about the Chiadzwa diamond fields to the Kimberley Process monitor. "Soldiers have been accused of illegal panning activities and they are primarily responsible for mining the diamonds, which are being exported through undesignated points to neighbouring countries and the rest of the world," he asserts. "There have been reports and overwhelming evidence of serious human rights abuses taking place in the Chiadzwa diamond fields." Whenever an official from the Kimberley Process visits the diamond fields there is an upsurge in violence, whereby the soldiers victimise ordinary civilians who they accuse of illegal panning, he explains. "Women have been gang-raped by soldiers and police and these substantiated allegations are very unacceptable and show that Zimbabwe is not complying with the minimum standards of the Kimberley Process," Mr Maguwu says. "Our officers go to the fields and neighbouring areas surrounding the diamond fields, investigate the abuses and get sworn affidavits from the victims in the company of a lawyer," he adds. Mr Maguwu says there are no reports from other mines and that the bone of contention is Chiadzwa. "The minister of mines, Obert Moses Mpofu, has openly flouted Zimbabwe's tender regulations by clandestinely forming companies and giving them licenses to mine such a rich public resource that can solve half of our economic problems," Mr Maguwu maintains. Global Witness has concluded that the main beneficiary has been President Mugabe's party and his supporters. The Kimberley Process has told the government not to sell any diamonds from Marange until they have obtained a certificate, but illegal smuggling of diamonds gets them out of Zimbabwe through Mozambique and South Africa. Investigations suggest that most of those diamonds find their way to Dubai and Lebanon, where they end up being mixed with diamonds from legitimate sources and they end up being sold to western buyers. Zimbabwe's army has denied the allegations and Mr Mpofu has declined to be interviewed about the allegations. In February, President Robert Mugabe threatened to leave the Kimberley Process after Zimbabwe was given until June to prove that its mines were properly run. The Kimberley Process Certification Scheme (KPCS) imposes extensive requirements on its diamond-producing member states to enable them to certify shipments of rough diamonds as 'conflict-free'. With a certificate of provenance, it is therefore possible to trace the origin of every single gem stone. 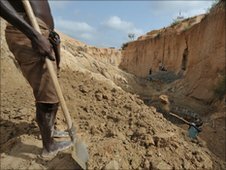 The crisis in Zimbabwe is undermining international efforts to eradicate conflict diamonds. Concerns about the effectiveness of the Kimberley Process have led to the resignation of one of the officers who set up the system. "I could no longer, in good faith, contribute to pretence that failure is success," says Ian Smilie. "It was a very simple idea. If you want to be part of the legitimate diamond trade you have to be in the Kimberley Process. Any diamond exported from a country has to have a Kimberley certificate," he explains. "There has to be an audit trail and you have to say where a diamond came from." But Mr Smilie has became frustrated at the Kimberley Process's inability or unwillingness to come to grips with some very serious problems. In the three countries which had the most terrible wars, Angola, Sierra Leone and the Democratic Republic of the Congo, the government's internal controls are very weak, he says. "The government in Congo has no idea where 40% of its diamonds come from - they could be coming from Angola or Zimbabwe or even from Mars," Mr Smilie says. Any decisions taken by the Kimberley Process has to be agreed by all the governments that participate. Zimbabwe is a member of the Kimberley Process, so if they do not agree you cannot move forward. "We haven't figured out how to stop car theft, which has been going on for 110 years, and we know there will always be theft, but when you have a regulatory system that refuses to come to grips with obvious cases then you have a serious problem," Mr Smilie says. "If the US, which is the biggest consumer of diamonds in the world, says 'listen, if the Congo is unable to enforce the minimum provisions we will no longer allow the importation into the United States from the Congo until they clean up their act', you would see a huge amount of action take place in the Congo," he says. Although there can never be a cast-iron guarantee about the provenance of diamonds, Mr Blom of the World Federation of Diamond Bourses believes the public can rest assured that the Kimberley Process is a robust system that works most of the time. "We want to give comfort to the consumer that the diamonds they have bought have come from legitimate sources and they can wear it with pride and with love," he says. Back to the old days? The UK's tax authority has been accused by MPs of failing to properly monitor the system of tax reliefs.